Say hello to the coordinated economy. It’s the biggest consumer facing mega-trend of the era, and yet hardly anyone is talking about it. Why? Because it’s still relatively new, and enterprises and individuals alike are just waking up to its enormous benefits. Nonetheless, this fundamental shift in the consumer economy (which is possible because of technology) has significant long running implications for investors and consumers alike. Without further ado, let’s jump into discussing the coordinated economy. What is the coordinated economy? Put simply, the coordinated economy is a modern economic system that leverages technology and incentives to unlock the power of the people. Coordinators, or coordinated economy companies, take oligarchic supplier ecosystems (ecosystems with very few suppliers) and make them democratic supplier ecosystems (ecosystems with multiple suppliers) by empowering the masses to do what only a few were doing before. In turn, they coordinate and incentivize the masses to produce exceptional output, thereby generating optimal consumer and supplier outcomes. Why is the coordinated economy better for consumers? Coordinated economy principles — when applied properly — generate optimal consumer outcomes. In oligarchic supplier ecosystems, demand almost always significantly outstrips supply. The net result is negative consumer outcomes characterized a low supply, high demand environment — namely high prices and low convenience. By democratizing oligarchic supplier ecosystems (and thereby increasing the number of potential suppliers), coordinated economy principles dramatically increase supply to match demand. The net result is positive consumer outcomes characterized by a market wherein supply equals demand, namely lower prices and higher convenience. Why is the coordinated economy better for suppliers? Coordinated economy principles – when applied properly – also generate optimal supplier outcomes. Because the majority of coordinated economy suppliers in a democratized system are new, lower prices from the oligarchic norm are not a negative (as they are for traditional economy suppliers). Instead, because these suppliers weren’t being paid before democratization allowed them to get paid, getting paid at all is a net positive (so long as costs to provide the service or good are covered). Thus, the net result is positive supplier outcomes characterized by more widespread profit distribution, implemented through novel financial incentives. Big demand market: The coordinator needs to operate in a market where demand is seemingly bounded only by population. Oligarchic supply market: The coordinator needs to operate in a market that is traditionally characterized by constrained supply relative to the demand, where constrained supply is largely the result of a limited number of suppliers. Consumer pain points: The market in which the coordinator operates needs to be traditionally seen as one with consumer pain points as a result of a supply-demand imbalance. Those pain points will most often be high prices and low convenience. Power of the people: The coordinator needs to operate in a market wherein the many can produce the same service or good at comparable or better quality as the few. The right incentives: The coordinator needs to employ an incentive structure (financial, social, or both) which promotes exceptional output by the many. Results: As a result of the coordinator’s democratization and coordination efforts, consumer convenience needs to be higher, transaction price points need to be lower, and supplier benefits need to be higher. What is an example of a coordinator? The best example of a coordinated economy company, or a coordinator, is Uber. Demand for car rides is largely “unlimited,” bounded only by population and vehicle parameters. The car transportation industry was traditionally an oligarchic supplier market wherein services were provided exclusively by taxis. The result was that unlimited ride demand was coupled with limited driver supply. That low supply, high demand dynamic led to high ride costs for consumers, and a great deal of consumer inconvenience due to lack of supply (namely, not being able to get a ride when you needed one). Uber changed this entire system. Because essentially anyone with a license and a car can theoretically provide transportation services, Uber was able to leverage the power of the people to democratize the car transportation industry and transform it from a single-supplier ecosystem (taxis) to a multi-supplier ecosystem (anyone with car). In order to coordinate the efforts of this multi-supplier ecosystem, the company implemented technology (seamlessly connecting riders and drivers through a uniform web/mobile application) and incentives (paying anyone with a car to drive people around) to promote exceptional output of driving services. The net result is that demand and supply now largely equal each other in the car transportation industry. Consumer convenience is higher (most urban residents can get a ride whenever they want to wherever they want, within reason). Transaction price points are lower (in major cities, Uber and Lyft prices are way lower than taxi prices). Supplier benefits are higher (people can now get paid for shuttling others around, something that wasn’t possible before). Why should investors care? Investors should care about the coordinated economy because it is this era’s biggest consumer-facing digital trend. Much like the advent of the modern internet unlocked tremendous value in consumer-facing businesses back in the late 1990s, and much like the social web has unlocked tremendous value in consumer-facing business over the past decade, the coordinated economy will unlock equally tremendous value in consumer-facing businesses over the next decade through substantially improving consumer and supplier outcomes. Thus, if you’re looking for tomorrow’s biggest and brightest stars, you want to look at companies that either already are, or have the potential to be, coordinators. With that in mind, let’s take look at five coordinated economy stocks that could explode higher over the next several years. Big Idea: Shopify (NYSE:SHOP) is democratizing the e-commerce industry by providing commerce tools to anyone and everyone who has something to sell. Big demand market: Demand in the e-commerce, and, more broadly, commerce, market is theoretically limited only by population since everyone, at some point or another, needs to shop. 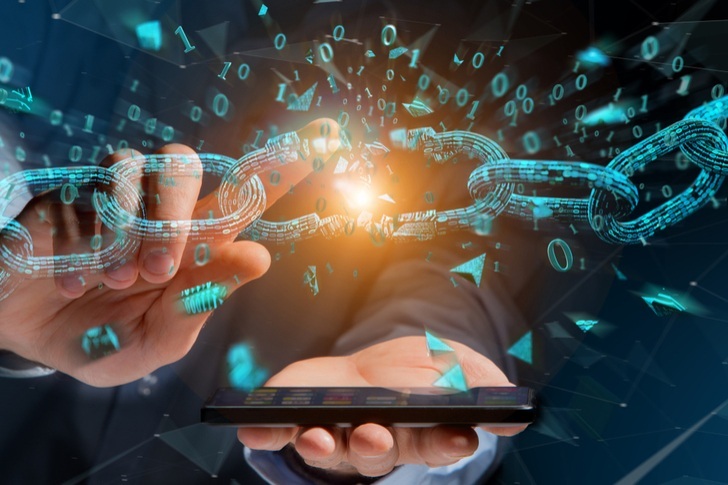 Demand in this market is very big, and it constitutes almost every single individual in the digitally connected world. Oligarchic supplier market: Supply in the e-commerce, and more broadly commerce, market is traditionally oligarchic since there are multiple barriers to selling items both in-store and online. That is why Amazon (NASDAQ:AMZN) controls about 50% of the e-commerce market today. Consumer pain points: Right now, pain points in the commerce industry aren’t very large (if anything, they are better than ever). But, if the supply pool continues to narrow, prices eventually will go up, convenience will drop, and selection will be limited. Power of the people: As community commerce platforms like eBay (NASDAQ:EBAY) and Etsy (NASDAQ:ETSY) prove, there are thousands and even millions of people globally who have the ability to create, market, and sell various products that are of comparable and sometimes higher quality than products found at Walmart (NYSE:WMT) or Target (NYSE:TGT). The right incentives: Shopify simply gives tools to individuals to sell products. Thus, a majority of sales that happen through Shopify websites end up in the seller’s pockets, meaning that the incentive structure is in place here to promote exceptional supply-side output. Results: The data here is hard to find exactly, but presumably, a greater number of suppliers in the commerce world will lead to lower prices, higher consumer convenience, and more widespread profit distribution on the supplier side. Perhaps this is why Shopify has reported explosive merchant and gross merchandise value growth over the past several years, and why SHOP stock has been one of the market’s best performers. Big Idea: Netflix (NASDAQ:NFLX) is democratizing the entertainment industry by utilizing relatively unknown yet surprisingly talented young actors and actresses to pump out an exceptional and unprecedented amount of content. Big demand market: The market for watching movies and TV shows is defined by huge demand, since essentially every household in the U.S. (and most globally) have an internet connection, cable connection, or both, and movie theater attendance globally is equally robust. Oligarchic supplier market: Supply in the entertainment market is traditionally oligarchic since the big Hollywood studios have controlled content production and distribution, and the volume of content they produce is limited relative to demand. Consumer pain points: Movie theater tickets are expensive. So is a cable subscription. Plus, neither are on-demand, so consumer convenience is low. Power of the people: As Netflix is proving, there are plenty of relatively unknown and surprisingly talented actors and actresses who, before Netflix, didn’t have a global platform to showcase their talents. Netflix is now giving them that platform, by significantly reducing the barriers to entry in the big screen entertainment industry. This new wave of talent isn’t disappointing. Netflix’s content — despite only rarely featuring traditional big Hollywood names — has attracted a near 150 million subscriber base, and is among the most watched content in the world. The right incentives: The supply-side incentives naturally add up here. 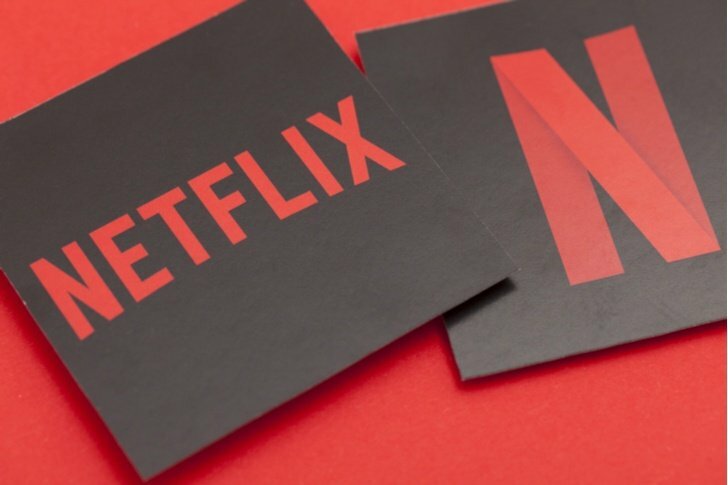 Netflix is paying an arm and a leg for content, so they are financially promoting the many to produce an exceptional output of movies and TV shows. Results: Transaction prices are lower (consumers can watch multiple Netflix originals for just $11 per month). Consumer convenience is higher (consumers can now watch nearly whatever they want, whenever they want, and the volume of content produced is more than ever before). Supplier outcomes are improved (all of these formerly unknown yet very talented actors and actresses now have a platform from which they can launch their acting careers). Big Idea: Chegg (NASDAQ:CHGG) is democratizing the education industry by allowing anyone and everyone the ability to both teach and learn a broad range of academic topics. Big demand market: The education market has huge demand. Essentially everyone in the U.S. goes to high school, and nearly 70% of high school graduates end up going to college. Thus, demand for education services is large. Oligarchic supplier market: Traditionally, supply in this market is exceptionally limited relative to demand. First off, there are only so many high schools and colleges across the world. Secondly, at each one of those academic institutions, the student body significantly outnumbers staff, and the net result is that each student seeking academic help is “fighting” for limited time and resources. Consumer pain points: The consumers, or students, in this market have huge pain points. Namely, higher and private education is traditionally very expensive, private tutoring and additional academic help can also be very expensive, and convenience across the board is extremely low since there isn’t enough supply (teachers) to satisfy the demand (students). Power of the people: As Chegg is proving, there are a ton of really smart people out there who are good at teaching/tutoring, and who can significantly help balance out the supply-demand equation in the education market. Through platforms like Chegg Tutors, Chegg is tapping into the power of the people to expand supply in the education market so that it comes close to bridging the gap with demand. 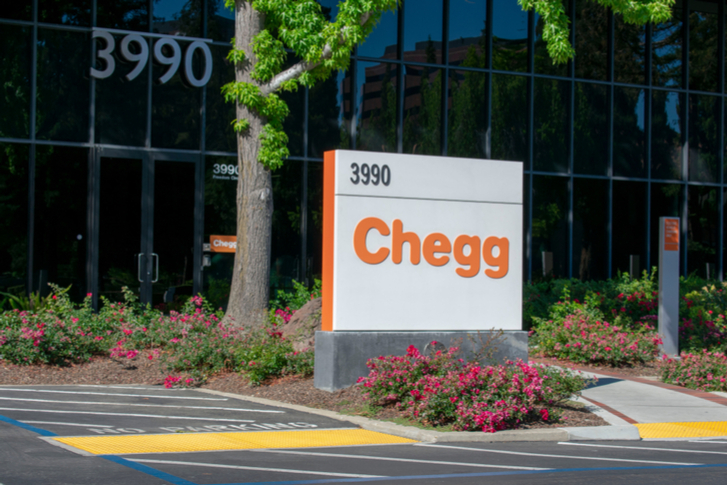 The right incentives: Chegg pays it’s tutors, starting at $20 per month and with potential earnings in excess of $1,000 per month. Thus, these tutors are incentivized to produce exceptional output of academic help services. Results: Transaction prices are lower (Chegg Tutors only cost $15 per week, whereas traditional private tutoring sessions can cost upwards of $40 per hour). Consumer convenience is higher (tutoring and academic help services are now on-demand). Supplier outcomes are improved (thousands of academically capable individuals now have a supplemental income stream thanks to Chegg). 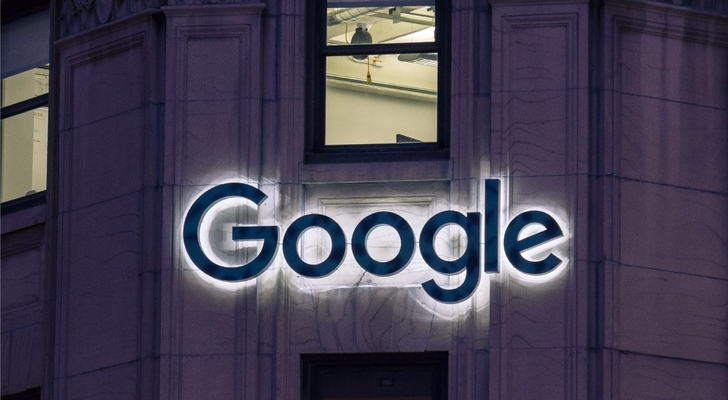 Big Idea: Search giant Google (NASDAQ:GOOG) is on this list because of its online video platform, YouTube. YouTube is democratizing the online entertainment industry by allowing anyone and everyone to create and share videos of all sorts. Big demand market: See the Netflix argument. Demand in the entertainment industry is exceptionally large since most people in developed economies have an internet connection, cable connection or both. Oligarchic supplier market: Again, see the Netflix argument. Supply for entertainment video services was traditionally limited to the big Hollywood studios. Supply for info related video services was also traditionally limited to the big news networks. Lastly, supply for music services was also traditionally limited to big record companies. Consumer pain points: Consumer pain points are high. The cost of consuming video services is high, given that movie tickets, cable subscriptions, and music albums are relatively expensive. Convenience is low, too, since none of those things are on-demand. Power of the people: As YouTube has proved, if the world had a talent show, it would be pretty impressive, and the top talent in that show would produce entertainment services that are on par with, if not better than, what has traditionally been pumped out of Hollywood. Thus, the power of the people in this industry is quite immense. The right incentives: YouTube pays its top stars. Those top stars also often get widespread social recognition. As such, the incentive structure is in place here for the top YouTube content creators to produce an exceptional output of free content. Results: Transaction prices are lower (YouTube is free). Consumer convenience is higher (everything is on-demand). Supplier outcomes are improved (thousands of talented individuals can now make big money through the YouTube platform). 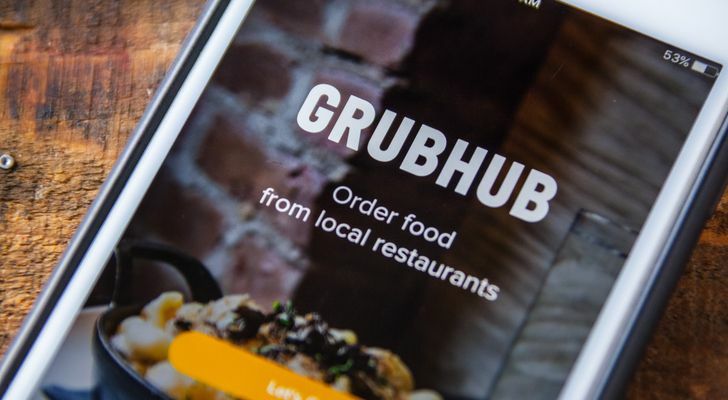 Big Idea: Delivery giant GrubHub (NASDAQ:GRUB) is democratizing the restaurant industry by allowing anyone with a car to deliver food, and in turn, allowing any restaurant to have delivery capability. Big demand market: Demand in this market is very large, and it isn’t hard to explain why. Everyone needs to eat, and you don’t always have time to go to the grocery store or a restaurant. Oligarchic supplier market: Supply in this market has been very limited. Only pizza chains like Domino’s (NYSE:DPZ) and Papa John’s (NASDAQ:PZZA) have always had delivery capability. Other restaurants didn’t. Thus, supply of food delivery services was limited to very few chains. Consumer paint points: The consumer pain points in this industry have mostly revolved around low convenience and limited selection (being unable to get the food you want delivered where you want and when you want). Power of the people: As in the Uber example, all it takes to deliver food is a car and a driver’s license. As such, when GrubHub opened the flood gates in this industry and started signing up drivers, the masses started to produce delivery services that were just as good as the delivery services pizza chains were offering before. The right incentives: GrubHub pays their drivers, so the drivers are financially inclined to produce an exceptional output of delivery services. Results: Consumer convenience is higher due to a broader selection of deliverable foods. Supplier outcomes have also been improved since thousands of drivers now have a supplemental income stream through GrubHub. As of this writing, Luke Lango was long SHOP, AMZN, EBAY, TGT, NFLX, CHGG, GOOG and GRUB. Article printed from InvestorPlace Media, https://investorplace.com/2019/02/coordinated-economy-mega-trend-best-stocks/.